By hook or by crook, it seems that everyone wants a slice of Karachi’s precious real estate. Political bigwigs, establishment ­figures and corrupt builders — facilitated by a rotten provincial bureaucracy — make illegal ­fortunes from the city’s precious real estate. On July 12, 2017, a strongly worded letter landed on the desk of Director General Sindh Building Control Authority (SBCA), Agha Masood Abbas (since retired). It was from the then deputy director general of the Airports Security Force (ASF), Brig Imran-ul-Haq Rao. The brigadier’s ire had been provoked because SBCA had issued a show-cause notice to the ASF a few days earlier, ordering it to stop “all illegal sale, booking and advertisement activities at once” on its Arabian Vista project in Karachi. The notice directed ASF to revert to SBCA within three days to explain why action should not be taken against it because it had undertaken the aforementioned activities without obtaining the required permissions from SBCA. In his letter, written in response to SBCA’s show-cause notice, Brig Imran harshly asserted that the ASF operated under the Pakistan Army Act, that its housing projects were launched under the ASF Foundation (ASFF) with the approval of the federal government and did not fall under the SBCA. He denounced the show cause notice as “regretful”, “uncalled for” and “outrageous”. “We hereby strictly call upon you to immediately restrain from making any such publications that damages and harms reputation of prestigious against [sic] ASF Housing Project,” concluded the brigadier. However, underneath the self-righteous posturing on both sides is a sordid saga that is sadly typical of Karachi. Hundreds of construction projects in this city are of highly questionable provenance, the product of collusion between rapacious political bigwigs, establishment figures, their front men (the builders) and a venal land bureaucracy — in short, what is commonly known as the land mafia. 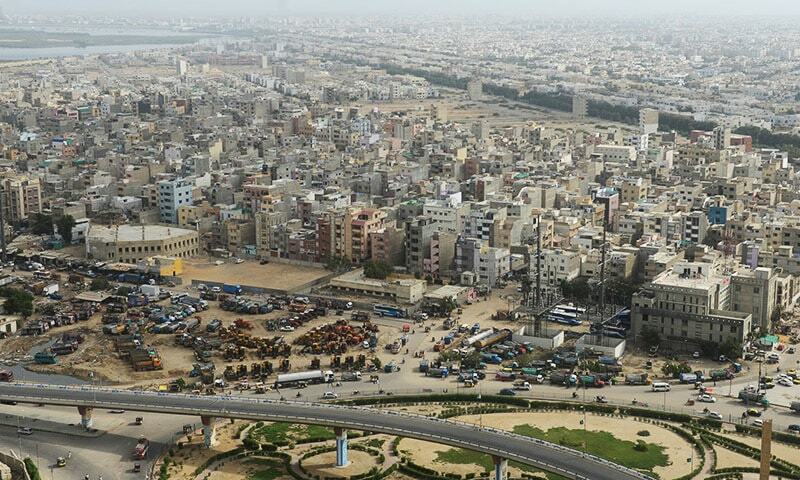 By hook or by crook, it seems that everyone wants a slice of Karachi’s precious real estate. 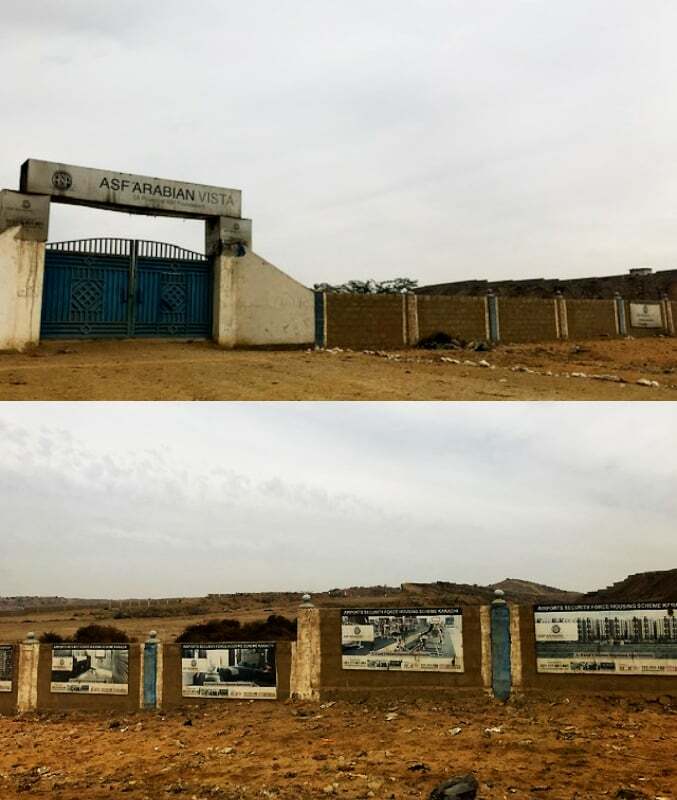 ASF Arabian Vista and Saima Arabian Villas, which together occupy a chunk around 270 acres off Surjani Town Link Road in North Karachi, are a textbook case that illustrates the role played by all the moving parts in this racket. 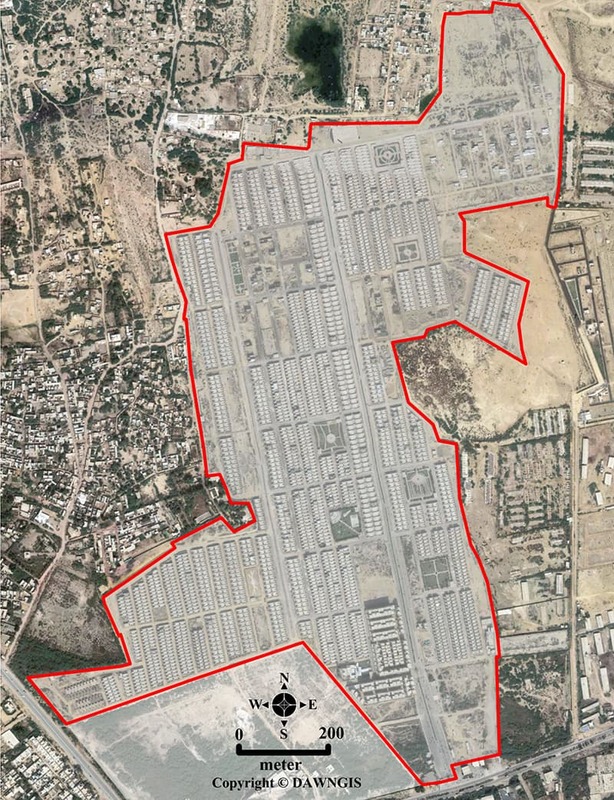 ASF’s biggest project, ASF City, is planned on no less than 3,000 acres. The market price of land here is at least Rs10m per acre. Why does a force of less than 9,000 personnel need such huge ‘welfare schemes’? The projects appear to be independent of each other, but they have a common genesis. Around 12 years ago, Mehmood Trunkwala, the owner of World Group Pakistan, who was said to enjoy close ties with then chief minister Arbab Rahim, began taking possession of land in the area in bits and pieces. World Group then partnered with Saleem Zaki, the well-known — and recently deceased — owner of Saima Builders, and the Saima Arabian Villas project began coming up on this piece of real estate. Over time, this land grab expanded further. Some of the land, according to a source well acquainted with real estate shenanigans in the area, was obtained from another encroacher named Sheroo who had built a fortune from his garbage sorting depots near the Jam Chakro landfill. Satellite imagery shows the land occupied by Saima Arabian Villas as measuring around 230 acres. A couple of years back, World Group brought ASF on board as a partner. It was a win-win situation: the security force was looking to enter Karachi’s real estate market, and its clout made it an ideal partner in a project with extremely dubious credentials. That was how the 40-acre ASF Arabian Vista was conceived. The ASF Housing Scheme website markets it as “a grand apartment complex comprising of three, four and five rooms in Karachi”. To reach ASF Arabian Vista, one can either drive through Saima Arabian Villas or access it through its ownentrance on the Surjani Town Link Road near the Jam Chakro landfill. A recent visit to the site shows that the main entrance, clubhouse and model apartment are nearing completion. The falling out with SBCA is clearly over. Let’s take a closer look at the main players behind Saima Arabian Villas and ASF Arabian Vista. Mr Zaki, well known for his mutually beneficial relationship with the politicians who matter — or mattered until not too long ago — in Karachi, was rumoured to be behind scores of shady real estate projects in the city. 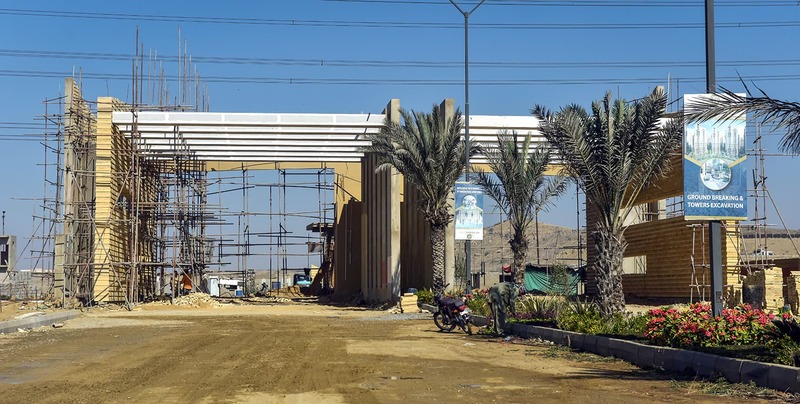 It is alleged, for instance, that he constructed the Saima Bridge View apartment complex in North Nazimabad in partnership with MQM’s Babar Ghauri — the force behind many such projects in North Nazimabad — by encroaching on land belonging to Pakistan Railways. Another example is Saima Luxury City in Landhi, constructed illegally on the left embankment of Malir River. (Embankments are required by law to be left undeveloped to make allowance for flooding.) Last June, a Saima project off Superhighway was found by NAB to be illegally built on government land. 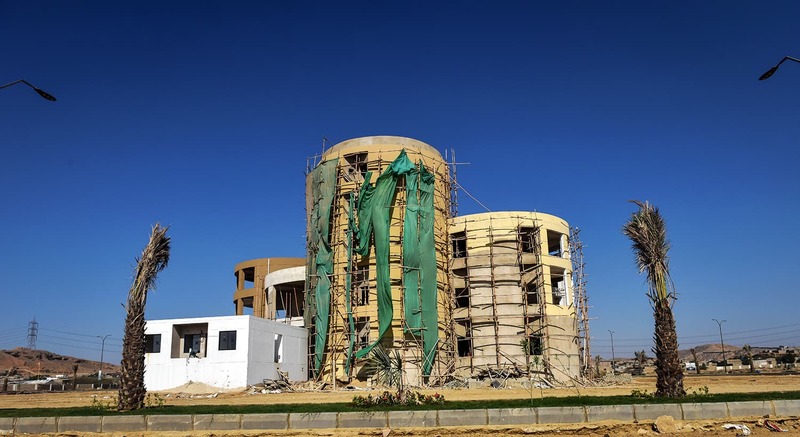 Some of the villas were demolished by the SBCA after the Supreme Court May 4 verdict against Bahria Town, a project that SBCA had allowed to be developed without even basic NOCs. The Trunkwalas’ connections with Pakistan’s power elite have helped World Group grow by leaps and bounds. The company’s diverse business empire includes automobiles (World Autos), imports, real estate, etc. The ASF’s four real estate ventures — ASF Arabian Vista, ASF City, ASF Airport Residencia and ASF Towers — all in Karachi, were announced during the period of Maj Gen Sohail Ahmed Khan as DG (now retired). Speaking to the media while heading ASF, Mr Khan said that ASF housing was started in order to “generate funds for the welfare of shuhada’s families and ASF retirees”. It was a specious and misleading claim: the Karachi airport attack in June 2014, whose victims included 12 ASF personnel, is perhaps the sole instance when members of the force have been martyred. The ASF is an 8,945-strong organisation responsible for the security of all airports in Pakistan. Headed by a serving major general, it has a symbiotic relationship with the security establishment. Its top cadre also includes three brigadiers, two colonels and five majors — officials who by virtue of their service are already entitled to plots at heavily subsidised rates. Despite the small number of army officials on secondment, this military connection comes in handy to browbeat civilian authorities. Notwithstanding ASF Deputy DG Brig Imran’s bluster, ASF does not operate under the Army Act, but under the ASF Act 1975, as its own website states. According to the website, the Foundation was “established on 24-04-2014 to provide and generate funds for welfare measures and benefits of serving and ex-servicemen of ASF and their families through various welfare schemes”. The land in Surjani Town is presently worth between Rs25 million to Rs35m per acre. That means the value of the land alone — ie, without taking into account the value added by built-up units, apartment buildings, etc — on which ASF Arabian Vista is coming up (40 acres) is worth a whopping Rs1,000m to Rs1,400m. Interestingly, on the northern side of the Surjani Town Link Road, opposite the main entrance to the complex, one can see a blue steel gate with an “ASF Arabian Vista” sign above it. A long boundary wall extends on either side, parts of which display ASF Arabian Vista signboards. Are the planners of ASF Arabian Vista eyeing yet more state land on which to extend this complex? Another project, ASF City, part of whose boundary is contiguous with DHA City off Superhighway, is planned on no less than 3,000 acres. The market price of land here is at least 10m per acre. It is worth asking: why does a force of less than 9,000 personnel need such huge ‘welfare schemes’? However, the digitised land record on the Sindh government’s Board of Revenue (BoR) website (sindhzameen.gos.pk) tells a very different story: it shows the area on which ASF Arabian Vista is coming up and where Saima Arabian Villas stands as being sarkari (government) land. The builders have not met the basic condition of a legitimate real estate enterprise, ie title to land. Interestingly, the relevant BoR record, has suddenly gone missing from its website. It remained inaccessible until this story went into print. On Nov 28, 2012, recognising “the rampant corruption and organised crime of land grabbing particularly regarding prime state land and mismanagement/forgeries in the revenue record,” the five-member Supreme Court bench hearing the ‘Karachi unrest’ case (No.16 of 2011) banned the Sindh government from issuing any lease, or effecting any allotment, transfer or mutation etc of government land “till the entire revenue record [record of ownership] of Sindh is reconstructed”. This includes the land record of 878 dehs that were des­troyed in the riots triggered by Benazir Bhutto’s assassination in 2007. (Implicitly acknowledged by the SC in the above case is the fact that the land mafia is the ‘mother ship’ of criminal rackets in Pakistan’s chaotic megalopolis, where they find shelter and common cause. In March 2018, a JIT set up on the apex court’s orders to investigate Orangi Pilot Project director Perween Rahman’s murder in Karachi on March 13, 2013, concluded that land mafia elements were the “clearest beneficiaries” of her death because as a result, OPP’s work on helping villagers in district Malir obtain land rights came to a complete standstill. ASF is responsible for the security of all airports in the country. Although it includes less than a dozen army officials on secondment, this military connection comes in handy to browbeat civilian authorities. In 2013, BoR submitted a consolidated report in the SC asserting that the record of the 93 dehs that comprise Karachi had been reconstructed. According to Iqbal Rehmani, deputy director GIS, BoR, “Records obtained from district commissioners and mukhtiarkars [local land revenue officers] were scanned here and uploaded on the website”. 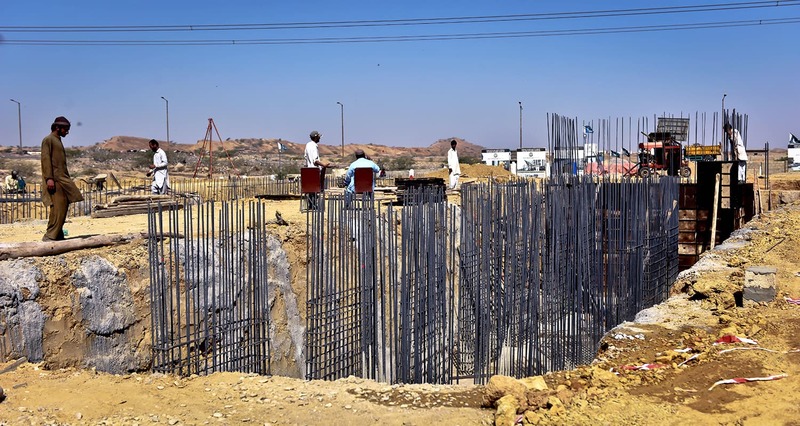 Senior Member BoR Mohammed Hussain Syed conceded there is “considerable tampering in the land record in Sindh at the mukhtiarkar level, particularly where prices of real estate had risen or were likely to do so, such as in Jamshoro, Thatta and Karachi”. He added it was precisely to prevent such tampering that the BoR had set up its Land Administration and Revenue Management Information System. So far, under the LARMIS project, 85 per cent of the land record in the 6,093 dehs of Sindh has been digitised. There remain certain dehs where the record is still to be verified in its totality by local land officials, but Deh Jam Chakro, according to a BoR official, does not figure among them. As acknowledged by the SC, it is the very custodians of government land in Sindh, protected by their political bosses, who hand over prime pieces of real estate to unscrupulous builders and collude with them to violate every law in the book. There is BoR, Sindh, the provincial government department that maintains land records and allots land to individuals, and to societies, institutions and development agencies etc, to develop schemes for specific purposes; and the SBCA, which is supposed to approve building plans in line with town planning regulations. The various development agencies include the Karachi Development Authority, Defence Housing Authority Karachi, Malir Development Authority, Lyari Development Authority (LDA), etc that are responsible for approving layout plans. The land occupied by ASF Arabian Vista and Saima Arabian Villas falls under LDA’s jurisdiction. However, enquiries about these projects have been met either with stone­walling, prevarication or outright hostility. Copies of the letters, and proof of dispatch, are in Dawn’s possession. They are addressed or cc’d to the DG SBCA, DG LDA, Senior Member BoR, and others. The letters ask for copies of documents showing the developers/builders’ proof of ownership, and for the notices that the land authorities are legally required to place in newspapers to seek public objections before issuing any NOCs. He received no response from any quarter. Nevertheless, R.A. wrote to the deputy commissioner, district West as suggested, with a copy to the mukhtiarkar of Manghopir. There was no response. He was similarly stonewalled when he wrote to LDA requesting copies of 10 NOCs of layout plans issued by the authority for the project. In his letter, he pointed out, “Please take notice that these NOCs are reportedly issued on some fake / manipulated documents.” Again, no response. When Dawn spoke with DG LDA Aziz Memon, a Grade-18 officer appointed to a Grade-20 post, he first tried to obfuscate and deflect, but when asked point blank why he did not respond to the letters by a member of the public legally entitled to ask questions of a government department, he furiously ordered the correspondent to leave his office. In early May 2018, the Karachi editions of several newspapers carried a notice from LDA inviting public objections pertaining to nearly 40 acres of land in Manghopir in district West. The notice was fishy in several respects. For one, although the land was that on which ASF’s Arabian Vista project was coming up, the notice made no mention of the project, even though World Group and ASF had already long begun marketing it through Star Marketing. In fact, it named three private individuals, Syed Johar Ali Qandhari, Mohammed Ayub, Arshad Iqbal and others as owners, although according to the government’s own record, this is state land. Secondly, how did World Group announce the ASF project in April 2017 and ASF begin marketing it before seeking legally mandated public objections to the ownership of the land on which it was planned? Former ASF DG Maj Gen Sohail Ahmed has said that ASF Housing is meant to “generate funds for the welfare of shuhada’s families and ASF retirees”. However, the Karachi airport attack in 2014, whose victims included 12 ASF personnel, is perhaps the sole instance when members of the force have been martyred. And the Trunkwalas have been dealing with LDA and SBCA for at least a decade in the context of the Saima project in the immediate vicinity. The partners in the ASF Arabian Vista project are no real estate neophytes. He also criticised the Supreme Court order banning the Sindh government from effecting any allotment, mutation, lease etc on state land, saying, “In such a situation, people find ways to do things”. When asked why LDA was allowing World Group and ASF to brazenly publicise and take bookings for a project on land to which neither has title, the additional director LDA’s lame response was that “everyone is doing it”. Given all this wheeling and dealing, it may seem puzzling that SBCA through its show-cause notice in 2017 had demanded that ASF abide by the letter of the law. But according to a former bureaucrat with decades of experience in land matters, there was more to it than met the eye. “ASF had clearly bulldozed its way over SBCA,” he said. “Palms were not being greased, so SBCA threw the book at ASF.” Otherwise, why else would SBCA allow the equally dubious Saima Arabian Villas project to proceed thus far without raising the same objections? Thus ASFF, a subsidiary of a national security force that prides itself on its reputation, is taking bookings for apartments that will mint billions of rupees for its coffers, but which are being constructed on land to which no private organisation or individual has legal title. The lack of transparency manifests itself on several levels. According to an interview given to a TV channel by then ASF DG Maj Gen Sohail (under whom the four ASF real estate projects were announced), 80,000 people registered with ASFF to become eligible for balloting in the ASF housing schemes. At Rs10,000 per person, that came to a total of Rs800 million in proceeds for the foundation. However, when Mohammed Irfan, a mid-level employee in the corporate sector, was unsuccessful in the balloting for ASF Towers in Malir Cantonment, it took him almost a year of repeated visits to the ASFF office to finally get his Rs10,000 refund in the form of a cheque. Curiously however, this cheque, drawn on a Kasur district branch of Al Baraka Bank, did not bear the name of ASFF but that of two individuals, one of whom, Raheel Abbas, had put his signature to it. And, it bounced. Header photo by Fahim Siddiqi. As every one is aware that the population of Karachi is more that 30 million and majority of the people living in central area of Karachi which are Karachi - East, Center and West. Unfortunately, there are few play grounds. I think issue should also be seriously considered by the government. Greed, thy name is Land Mafia. wow, make a fortune by land grabbing and then live in Madina to show you are very religious! Everyone from politicians to brigadier looted this beautiful city. No respect left for politicians or other sacred institutions. Strange that not many comments on this article despite such detailed and brilliant research. Fear of the establishment I guess? Thanks for PTI govt to wake up of Pakistani nation against corruption. In the time of PPP and Muslim League nobody knows how big corruption is going on. From Politician to Police to Law enforcement every one is involve. Brilliant as always. ASF is a civil authority operating under civil law, it should never have an army cover. Well done Dawn, but no one has power to challenge them. Be safe. May Allah swt bless you and protect you for this jehad you are doing against the land mafia. It is so depressing as a Pakistani that the people who are suppose to protect us, are the biggest land mafia of our country. Day by day I am losing hope in this country. Another great article by Dawn highlighting the merciless land grab by the powerful. It is requested to do an investigative article on DHA Valley in Islamabd/Rawalpindi. A DHA project (co-venture with Bahria Town and HRL), which involves dubious agreements, land grab, unfulfilled committments. And now, a dubious balloting. Wonderful reporting by Dawn. Its sad to see the state of affairs in the country where every person and institution is obsessed with making money. If at all if a land is to be given to the security forces, it should be given in small cities or new cities should be built in remote areas. The land will not only be cheap but it will generate economic activity in remote areas and reduce the burden on the big cities. One of the most telling remark in this wonderfully researched article is that ASF has its projects only in Karachi. That’s only where every inch and every bureaucrat is up for sale. WOW! A truly incredible Investigative journalism this DAWN. what rotten & vile system of bureaucracy ours has become. very well written and researched article. Kudos to the author and investigators. This shows that how corrupt are our elite institutions. Being a Ex-Pakistani I believe nothing will change in Pakistan. Very sad affair. Way to go Dawn! You guys are the ones fighting the good fight for last many decades. When will the civilian government be honest and courageous enough to nab these Generals? The author should have asked one important question, while the ASFF was established for the welfare of retired ASF employees, what did they offer them so far? No medical facilities (apart from a small dispensary which has been there for ages), School has been there for ages too, no subsidized plots to retired employees, no additional income either from generated funds and yeah jobs to few retired people which they provided. I wonder where all the generated funds went then??? wow. salute to the reporter. This is an eye opener. Might is Right in Pakistan (sadly). I hope and trust some thing solid would come out from this Splendid Report by DAWN. That only politicians are corrupt is a bogus statement. In Pakistan "might is right". Everybody who is able to plunder the motherland has done that, others are waiting to get their chance. As a nation we all should be ashamed of ourselves. Dawn playing with fire, No other media house can have such courage. Plus every inch of land acquired illegalay would be nightmare at the day of judgment. How Effectively Law Permits Members of Establishment Decide Upending Regulations Dawn Again Nails Attempt. @Arif Muqri I m sorry but it seems that you did selected reading.. I am not sure why is everything selected about this gov? even the voters have selected view. This had started in 2017. Also, they paid the price of bringing up these issue. Broaden your area and I am sure you will learn what can't be said openly regarding such issues. Bravo ! Dawn ! In this time of shying away from Truth, you come up as shining light !! ASF is following into the footprints of DHA. Very disgusting.How we will survive. I feel like vomitting. No comments. I can only quote a sentence from this story that "everyone wants a slice of Karachi's precious real estate". Fear of the those hands which are behind the scenes have compelled me to write anonymously. My respect to the great women who has done this piece. DAWN is the place to get unbiased news even in this era. Hope that action will be taken accordingly after this, as was done with Bahria. I congratulate DAWN and its team for unearthing (after BTK) yet another covert collusion between provincial political powers, civil-military bureaucracy and land-mafia thugs to satisfy their LUST OF MONEY. These muggers have no integrity & morally corrupt either. Unless they are penalized conclusively they continue to rob citizen and take shelter in the name of “democracy”, “homeland security” , “sacred cows” blah, blah, blah. I am sure that CPEC will also turn into a similar fiasco at some time in future. I strongly urge the COURTS not to handover any such project to its promoters instead order to be taken over by Sindh Govt or KDA, LDA, MDA as the case may be. Provincial Govt silence is expressive either. A legislation in the name of REAL ESTATE REGULATORY AUTHORITY (RERA) at Federal level is likely to alleviate much of these problems. This is great reporting. Disgusting how the mafia operates. Also the builder "lives" in Madina and does corrupt practices in Karachi. Says a lot about how we perceive religion! Made my day! Great work! Two thumbs up for the courageous reporter! Excellent Research and Article. 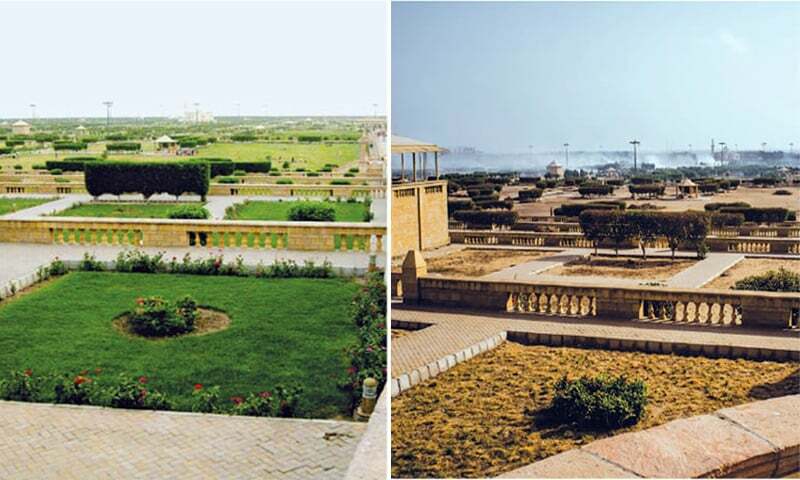 It shows its not only Bahria but others have also grabbed our city's land through one pretext or another. Government should immediately take action to stop the execution and take over this project. No one can do anything against these land grabbers, just watch our city getting destroyed. Nothing is lost if the government start acting as the Government of Pakistan after independence in 1947 when there was no lust for money and in Karachi,areas like PECHS,Nazimabad, PIB Colony,Martin Quarters and North Nazimabad were created at affordable prices without any advertisement. Stop land grabbing- enough is enough - Imran Khan and Army Chief must look into this blatant land grabbing in the name of our armed forces - this poor nation needs reprieve from these land mafia. Absolute brilliance by Dawn to tap into this aspect of journalism. Brilliant article and I hope Dawn recognizes the efforts of the ones involved and increases investigative articles. Kudos, to PTI for spearheading a corruption free Pakistan too! Courageous. Insightful. This is real journalism. More investigations will burnish Dawn’s reputation as the leading newspaper of the country. At this time many journalists only seem to be running after corrupt politicians - discarded by the voters - for stories. Thank you. Great job , ASF looted public money directly . I hope Dawn will also publish stories about other illegal real estate projects, by showing impartiality. Free press should not believe on target victimisation, while ignoring others and favouring them. excellenr reporting. Please also take note of the thousands of teeming illegal slums that have cropped up in Karachi. Who gave permission for them? Just in the satellite imagery above, you can see such a slum. These unplanned slums are destroying Karachi. I am waiting for the day when they will announce to move Quaid's mausoleum in a new place & launching of a housing/commercial scheme at that place. Kudos the whole team, keep up guys. Well Written. A case study " Might is Right" Dawn News nothing going to happened. Thanks Dawn, you are worth of your name, shedding light and exposing darks in our activities in the land of pure. Lot of respect and prayers for the writer who exposed these activities. Great effort of Dawn. SC must take action and SBCA stop all illegal activity on these project. An open case for NAB to enquire and investigate. Great reporting. This is the type of journalism we need to unmask causes of inequality and injustice in our society!! Corruption and nepotism galore. Surprised to see no mention of Mr 10%. Good work. But Alas DAWN never reported the illegal allotment of 14000 acre of land near Karachi to Baheria Town and still not reporting the court proceedings against them. By hook or by crook, it seems that everyone from Pakistan wants a slice of Karachi’s precious real estate...without any doubts ! There are many land grabbing mafias bigger than BT. Time is high to bell the cats in Karachi. This is what happened when you weak have democratic gov corrupts leaders and corrupt gov servants corrupt media corrupt business people and above all corrupt awam. All are in same boat and scratching each other back . Bravo Naziha Syed Ali & Dawn. Very courageous, bold top of the line journalism. Hoping against hope, may this courageous act bear some fruit for the hapless people. After unearthing Bahria Town Karachi's illegal occupancy on several thousand acres land, Dawn has done it again ! Army should investigate, why it's name is being used by few ASF officers for controversial projects. No NAB or CJP suo moto action against ASF after such detailed reporting!! Is this the proof of high handedness of the LEAs. just brilliant Dawn.. its not easy to write such an article against these powerful mafias.. to me, it appears all who possess like power (civilians or others.. you know who) are corrupt to the core.. no doubt thats how pakistan suffers and will do if nothing is changed. Be safe Naziha Syed Ali. @Ahmed”Army should investigate, why it's name is being used by few ASF officers for controversial projects.” Sir, kindly stop deluding yourself. It’s army that’s deep into it-it’s into every private commercial project from fertilizers to banking, cement, insurance, Roti & whatever not. Read the famous book “Army Inc.” Nothing is secret in today’s world except what we want to keep secret to our selves. Good investigation...However Dawn cleverly hid PPP by not using its name knowing the fact that most of the Sindh Govt officers have been inducted by them. I still give this article 2 out of 5. Looters of the mother nation. @Mazhar Ali “ASF is a civil authority operating under civil law, it should never have an army cover.” Very correct, but the fact is it does have an army cover that is why it is operating with total impunity. It’s untouchables in the plural on the land of pure. Great, gutsy journalism. Keep it up. Meanwhile, this is a scandal we are all to familiar with. One is just jolted by its brazenness. @M Rafique “Good work. But Alas DAWN never reported the illegal allotment of 14000 acre of land near Karachi to Baheria Town and still not reporting the court proceedings against them.” Which world are you living in? There are dozens of articles that Dawn has published on BAHRIA town and if I’m not wrong Dawn is the first to report on the subject and only thereafter did Supreme Court start taking notice & action against the said entity. No where in the world the Armed forces engage in commercial activity except in Pakistan. Everything is OK under the name of National security. This will continue to happen. This happens in socities that value money above all. Utter shame, but we are all complicit. Salute to such courageous and quality piece of investigative journalism. This is how authorities are abused to rob common man. There is no way out than to spread awareness among general public so that public pressure builds up powerful enough to resist and such an abuse of power gradually diminishes away. Two words needed only 'Corruption and greed' It is no wonder the country is bankrupt. Please ensure the safety of your staff members who have done this thorough piece of investigation. For those who think there are flaws in reporting can sue the reporters but I am sure truth will bite the perpetrators. Sane s---t different day around whole country, I only know my forefather gave up more than 300 acre land and migrated to PAKISTAN, and in exchange we got less than 100 acres eventually that lost to land mafia or corrupt courts! Eye opening article wish Dawn expose other land grabbing incidents. Ms.Nazia Syed Ali - Salute to you, not only for excellent investigation repot but also to standing up against the bigwig. Lets See if Supreme Court will take any action as they did for Baharia Town. Why on the earth an Air port security force turned their expertise of security towards real estate. That is the issue with this country that we want to do every job except outer own. Supreme Court MUST take action, otherwise they will loose their credibility. How many people and how many institutions will Imran Khan fight against. Corruption has affected every sector and every organization in Pakistan. Across the board accountability is the only answer, but unfortunately it will never happen, as corruption free system and mentality is required to do that. The Holy Cows will never be touched. "Behti Ganga main sub hath dho rahay hain". Everyone is washing their hands in the flowing river. Army and Judiciary should set an example and publicly prosecute the black sheeps among their ranks. They should lead from the front. Then there will be no place for other crooks in society to hide. Grabbing government land and building a paradise to live - I do not see big issue if the grabed land value paid back to government - demolishing option not a good choice. But if the grabed land is of Pakistani people then it is big big crime. Hope your work may help to stop the loot. Only dawn has the courage to speak on this issue. Only dawn. Army officers have left all security related work and have put their focus in looting from real estate under the garb of national security. About time these officers are charged for treason and put in prison. Traitors. A n excellent very daring & explosive investigative report by all account by Naziha Ali of daily Dawn. The report being 2nd of its kind after Bharia town ‘s land grabbing story, describing in detail this sordid business of public land grabbing, as usual by powerful land Mafia, which unfortunately includes our corrupt institutional setup in Sind, all known actors with political connections, and above all ASF to provide needed muscle and nuisance value to these criminals. Notwithstanding, the right intervention of SC to put a stop to this illegal business of China cutting and land grabbing, this latest reports shows that keeping in view this huge bonanza in waiting for these land grabber to make money, new sophisticated techniques are in use to circumvent existing court orders. An excellent investigative article, what i don't understand is why one 'King' property developer has been left out of the article completely ?? We all know how they have been involved with the ASF housing projects. @Arif Muqri , lolz. You are kidding? It's work of Dawn and they have done these peaces for years but sadly, like previous governments, this one isn't democratically strong enough to bring the security establishment in court of law, not when the same security establishment brought this government into power. I hope government provides you with security after writing this extensively investigated reports. OMG, this is such a brave story by DAWN. Very good investigative journalism. This is what good journalism is about. Dawn has the courage , brains, tenacity, hard work, patience to put it all together, there are very few other news outlets which come up to this level of accurate, convincing, reporting. Why do the courts let all this happen, the law is for everyone big and small, powerful and weak, we ordinary folks look up to the law, the law is our nations pillar of strength, there is only one law for all of us, now is the time to prove this simple fact. stay safe . very good piece of investigative journalism!! well done. People have no shame in occupying land illegally. They then go and live in Madina. But do they not think about the day when they will be asked about all that they did in this world? Excellent eye opener. That this land grabbing is going on is not surprising, its exposure in public media is. The sacred cows are one of the implicated parties here, so how Dawn dared to publish this is beyond me. 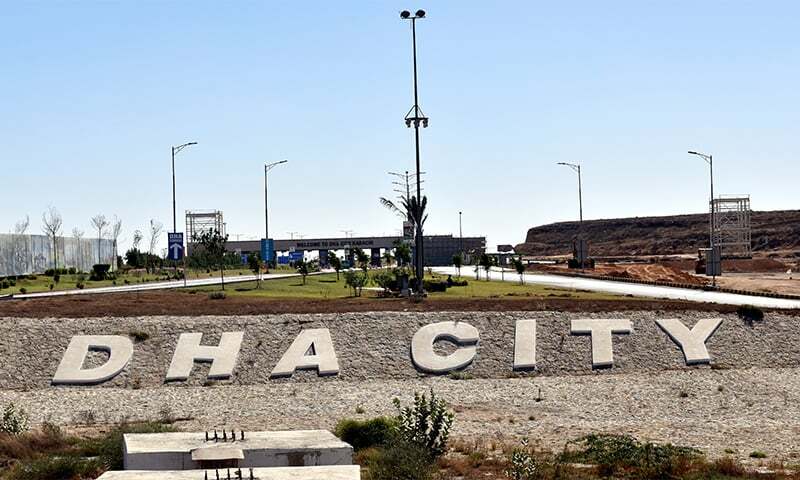 I hope one day the paper shines a bright light on how DHA Karachi grabbed land for its newer phases, about which we once in a while hear a whimper from Sind government. This report deserves an equivalent of the Pulitzer Prize for its depth and also the bravery of Naziha Sahiba to take it up and expose the shenanigans of ASF. Kudos. It is about time to legalize this land grab by the SC. well done, this is really great job to find out the facts against the culprits. The dairy farms located there on legally leased land were evicted. Hopefully, they will receive a hearing. One of the most amazing occurrences stated in this episode is that the cheque issued to refund the deposit of those that were unsuccessful in the balloting actually bounced! Whats new or revealing in this article? One hell of an article. Congrats to the author. Hope it stirs and shakes the echelons of power, as it should. Life was short and it was given for something else. We will realize very very soon, after the death. Please nip in the bud! Did dawn news publish any article in 2012 about this scandal? Why do we see these articles, when these projects are almost complete or halfway through? How many other Land Grab scandals are in its inception? Hats of to Naziha Syed Ali for this Master Piece. These are new dimenssions in investigative journalism.. Dawn is Maintenon it’s standards since decades. Expecting them to pursue this till till relevant court of law take not only notice but stern action against all corrupt land mafia.. as they are treating our motherland SINDH as “MALL e GHANIMAT”. What is the Imran Khan's government doing to stop this blatant plunder of Pakistan. Why Armed Forces are in the Real Estate business at the first place? Excellent and brave investigation. The forces should not involve in civil money making businesses in order to maintain their dignity. All praise to Dawn and its team great reporting as always but is somebody in power looking into it are the laws for civilians only nowhere in a civilized world the Brigadier acts like that they should follow the law than how can we catch the civilian offenders.They just want to shower praises on themselves. From Generals to Majors, all of them are serving Pakistan to their best. bravo Dawn bravo. You are the voice we need constantly. What would we do without you? Engage in greater corruption? Your job is not to occupy Pakistan, but to defend it. Naziha Syed Ali― great work with bravery ! As it is said in Urdu: Saeyain banay kotwal tu dur kaa hay kaa. Such a great piece of investigation journalism after Malik Riaz Bharia Town saga who is willing to settle 300+billion rupees in court. It is matter of great shame for the people in uniform who are grabbing land in the name of poor soldiers martyed on ground. Utter shame and should be thown in jails by doing economic terrorism. On one hand encroachments in Sadder are being demolished, who belong to poor people and on the other hand this is happening. One country two standards. How long can we sustain this injustice. No doubt projects like that does bring investments into the country. But ASF must face consequences just like Bahria if the project is illegal and must pay the penalty and full amount of the property like Bahria. Also DHA phase 8 is all illegal, why chief justice isnt taking any action against DHA? Bravo Dawn and its reporter Naziha. Keep it up. People must know the truth. The world City of 24 million will only make progress if we expose the mafias and their nexus with political leaders corrupt businessmen and security forces. Excellent in-depth reportage. Perhaps, the author should write a book and delve deeper into Karachi's and Sindh's land grab, with several chapters devoted to the dirty tricks of the Zardari clan. Dear Dawn We announce our full support in your unveiling all these big fishes of corruption. Keep up the good job. Well DAWN need also to write on DHA Karachi which was actually meant for Defence people but yet to see more than 5% population actually representing it. Dawn is the only hope of a common man to obtain factual information. All others have succumbed to the greed or influence from the powerful. Dawn this is called investigated reporting let see what action government will take or court system will do about this corruption. I hope the new government roll back all these illegal activities and bring honor to the law of the land. Corrupt people should be jailed and illegal booty should go to the government to pay off foreign debt. Excellent investigative article....if these people go unpunished tgen we should all pack up and leave this country. There is no future without justice. most of them are qubza groups and others their supporters . all the land is for few govt departments and their bosses , what about common man where he will live . the poor have no place to live . shamelessly corrupt society and people with out any moral . the loot goes on. We will appreciate SCP and Ex CJ Saqib Nisar who pointed out irregularities in Karachi land and illegal activities of land mafia in Karachi. SCP must continue his help in removal of all such illegal builders and their agents. Majority citizens, namely poor thinks army, military are best institutions and holly protecting them. Only few at top knows the truth that what they are up to and how big slice they take away from taxpayers money. Super courageous report that can ONLY appear on the Dawn. The true journalism! Bestest wishes! Well done Dawn, we salute you for this daring work while most of us scared of our own safety. It is Jihad, May Allah reward you all who brought it to us. Land mafias have infected the entire country! The easy and very close example of corruption in cantonment & other are water tanker mafia. In DHA karachi, if some one call to their official six digit number of cantonment board office for water complain, they will find some one throwing a business card from a water tanker company withing few minutes. It is very common, it shows how these builder mafia is connected with water mafia and other. Please list all builders asscociated with the ASF as there are more than one big names, the public has the right to know to safeguard their investment. Please investigate the report for Fazaia Projects in Karachi. To stop all this bonanza I suggest that as one of the steps the government must ban English names for all the construction projects. When they use English names they make impression that the project is started by some highly educated, law abiding, gentle, and caring and considerate people. Here the case is opposite. The most of the people involved in construction business are corrupt and least considerate. Please ban fancy English names for these projects. This is not an ordinary article.MY compliments to Ms.Naziha Syed Ali for having the courage to write such a bold article and for the most leading Newspaper of Pakistan DAWN to print it. Every one has looted Pakistan from Politicians to Generals....It is the commoners and civilians who pay taxes to see them propser in their elite gated heavily secure walled housing estates in a country where present government is planning for building thousands of basic living units for the millions of homeless citizens. What a shame! @Ali Khan No, No , nothing will happen. Speaking of Babar Ghouri, like all the looters of Pakistan he is living a comfortable life in Houston Texas. Most of our politician come into power not to debate and work for national interest but to gain self interest. Salute to the courageous journalism, only DAWN can do this. Well done DAWN, providing the Quality journalism that is very scarce in this country. As always you have lived up to your name by exposing the nexus these so called elite/decision makers have made at the expense of general population. But i am not sure whether our system has the spine to bring down those who have committed these crimes. You people are so brave, I don't want to compare your bravery with the men standing on the boarding otherwise this post will not publish. Dawn is doing a great job, going against the flow of the flood. Salute to the people like Faheem Siddiqui and to the institution. Great research based story. Any eye opener for every Pakistani specially the Karachities. Hope this process of accountability will really bring all criminals to justice. @Arif Muqri - its Dawn individual effort and nothing to do with govt. Dawn has wrote the same research based piece on Bahria town Karachi as well few years back and exposed everyone from politicians to institutions. Please comment on merit without any biasness.